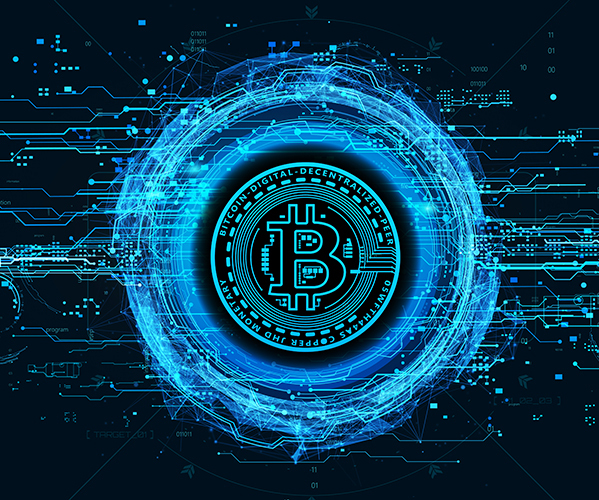 This inaugural post in our Ingenuity Wins Q&A series details how Brown Rudnick successfully argued a motion to dismiss claims against Bitcoin Suisse AG. The case was the first securities class action challenging an initial coin offering in the United States. Brown Rudnick recently adopted the tagline “Ingenuity Wins”. It reflects our belief that mixing highly skilled professionals and focused industry experience within a truly collaborative environment produces ingenuous solutions -- that is, clever, original and inventive solutions for our clients, for our peers and colleagues, and for the communities we serve. Ingenuity Wins is not an empty platitude. Flashes of ingenuity abound at Brown Rudnick, and we are launching this Q&A series to share some of the most exciting examples with you. For this inaugural Q&A, our CEO Joe Ryan spoke with Sigmund Wissner-Gross, a securities litigator in our New York office. Our team of lawyers led by Sig successfully argued a motion to dismiss the federal securities claims against Bitcoin Suisse AG, a Swiss-based crypto financial services company, extricating the client from In re Tezos Securities Litigation, a consolidated federal class action pending in San Francisco. The first class action brought against the sponsors of an initial coin offering in a U.S. federal court, Tezos features multiple issues of first impression. Our solution for Bitcoin Suisse shows how the right skills and experience applied in a truly collaborative environment delivered a great outcome for our client. Joe’s conversation with Sig follows. Joe Ryan: How did Bitcoin Suisse find itself in court? Sigmund Wissner-Gross: A dispute arose among the founders of Tezos about who controlled the $230 million it raised in an ICO. Several investor-driven class action lawsuits quickly emerged and were consolidated in San Francisco under Judge Richard Seeborg. Bitcoin Suisse got roped in because plaintiffs alleged that it had facilitated investments in the offering, and it had co-signatory authority over the virtual Swiss account that held the funds raised in the ICO. This being the first time a claim was brought against the sponsors of an ICO in a federal court, there are number of issues of first impression, such as whether an ICO is an unregistered securities offering; whether U.S. or foreign law applies and whether U.S. or foreign courts are the appropriate venue, given the global nature of an ICO; and what constitutes a seller of securities. Bitcoin Suisse was named as a defendant alongside the Tezos Foundation and others, but we believed there was a strong argument that Bitcoin Suisse should not be a defendant in the case. JR: In an extraordinary move, Judge Seeborg granted Bitcoin Suisse’s motion to dismiss without leave to amend while the remaining defendants were left to prepare for trial. How did you achieve this? SWG: In such a case, with so much unsettled law, your best shot is often the most direct. Based on our investigation when we first were retained, we felt strongly that Bitcoin Suisse had an excellent argument that it was not subject to the personal jurisdiction of the court in California. It had no corporate presence or relevant conduct in the U.S. Even if the court had personal jurisdiction, there was no evidence that Bitcoin Suisse had been a seller or induced any U.S. citizen to invest. And any conduct by Bitcoin Suisse after the ICO, acting as co-signatory to the account, occurred solely in Switzerland. We felt that if we could differentiate ourselves from the other defendants, and focus on the narrow facts pertaining to jurisdiction, that might be the winning point. JR: Why did Bitcoin Suisse choose Brown Rudnick? SWG: The client came in through our partner Clara Krivoy from the Private Client practice, who has extensive knowledge of Blockchain and other tokenized ecosystems. The firm represents several other crypto ventures. And as a securities litigator, I’ve been monitoring the SEC’s exploration of cryptocurrencies. It’s a space where the law is moving very quickly, but we were up to speed when the case came along and ready to pinpoint what arguments would be successful. JR: What impact will this successful motion have on future litigation regarding bitcoin offerings? SWG: In our view the motion to dismiss helps define for brokers the contours of what it means to be a seller of securities. Foreign brokers need to know the boundaries to avoid litigation in similar circumstances. More broadly, the case should signal caution for overseas crypto ventures looking to secure U.S. investors. If these companies are going to do an offering, given the current U.S. climate, they should focus on only raising funds from foreign investors if they want to avoid challenges. But as we said, with so many issues of first impression, the traditional and emerging securities industries will be watching this issue very carefully, for sure. JR: Who else did you collaborate with at Brown Rudnick? SWG: In addition to Clara, Leo Presiado was an instrumental collaborator. His presence in our California office enabled us to represent the client entirely in-house. Jessica Meyers conducted the legal research and drafted most of the brief; it was great to see how Judge Seeborg’s ruling adopted many of the arguments that Jessica had set forth in our legal presentation. Ingenuity is a function of combining skill with experience in a collaborative context. You can clearly see that at work here. Yes, we are conversant in the underlying crypto and securities law. But one of the things that experience teaches, and it is very evident in this case, is that sometimes the small things allow you to hit a home run outcome. Tezos involved some very big issues that occupy hundreds of securities litigators and lawyers involved in emerging cryptocurrencies. Our team focused on the narrow jurisdictional issues that could be dispositive. And that was what allowed us to extricate our client from a case that is likely to go on for a long time.